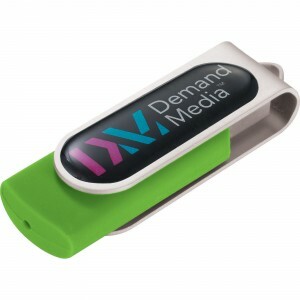 Promotional USB Drives for Corporate Gifts, VIP Customers and More! Tired of the same old boring pens, coffee cups, sticky notes and key chains that you have been using for your promotional needs all these years? Want to giveaway something your customers will be excited about and use all of the time? 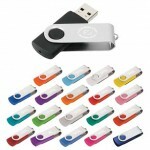 Promotional usb drives are more affordable than you think. Also known as thumb drives or flash drives, usb drives are widely utilized, which makes them a great pick as a promotion or impressive giveaway. About a decade ago when flash drives newly arrived on the promotional products scene, even the smallest memory level like 512 megabyte or 1 gigabyte were expensive. Now these small memory capacities are practically obsolete. With the great demand for this product, prices have fallen significantly over the years. It’s now more affordable than ever to purchase promotional usb drives at memory levels of 4gb, 8gb, 16gb and beyond! A multifunction usb pen drive is a pen, stylus and memory chip all in one gift! As a corporate gift or holiday gift for your VIP clients you can’t go wrong! You can customize a pen drive with your logo or season’s greetings message. Packaged in a gift box, it’s ready to go and easy to mail. This entry was posted in promotional usb drives, USB drives and tagged Promotional USB drives, usb drives on July 17, 2015 by admin. 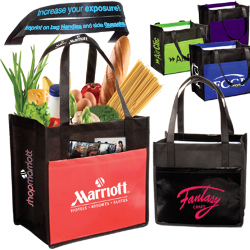 Promotional tote bags are a four-season bag style. In the summertime totes are great for trips to the park, pool and beach. Cotton canvas material tote bags are not only kind to the environment but they are easily hand-washable so they will keep looking great for many years to come. You may think purchasing a cotton canvas means a bag in a “natural” or “organic” color, but today’s customized totes come in a huge array of colors. This means your custom colored tote will be sure to be seen. 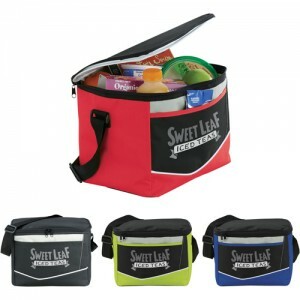 Promotional drawstring bags are a widely popular bag style, used by many people for many purposes. This smaller, sportier version of a backpack is a single main compartment bag with shoulder straps usually made of a rope or nylon cord like material. Boat totes are perfect promotional tote bags for the summer months. These are traditionally large boxy style totes with sturdy shoulder straps. Many boat tote bags have a nice front pocket to stow things you might need often like sunscreen, lip balm and pocket change for the snack shack! Many custom boat bags are available in a natural color with a nice contrasting accent color for the handles. Match your logo to the handle color for an upscale, impressive look! 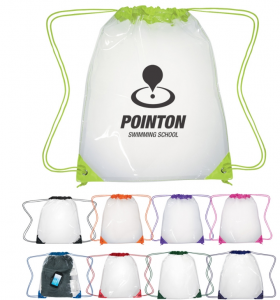 Promotional drawstring bags are also a favorite pick for kids and teens for the pool or beach. So lightweight they are perfect for the poolside. Cinch bags are also easy to hand wash so soda and Popsicle spills are no problem! Promotional tote bags with eye-catching patterns are very trendy and fun alternatives to solid color bags. Geometric patterns, polka-dots, dog paws, checkered/gingham, bubbles, and so many more, will make your custom tote high fashion. For the younger end-user we carry the Paws N Claws line of bags with popular animal themes such as tigers, dolphins, owls, monkeys, ducks and elephants. If your business or end-user is sporty, than be on trend with clear Promotional drawstring bags. These clear bags are perfect for passing through security checkpoints at sporting events with ease. Many of our styles meet NFL and other sport authority checkpoint requirements. This entry was posted in Promotional tote bags and tagged Promotional tote bags on June 12, 2015 by admin. Why use promotional products? The answer is easy: brand exposure! This is why it’s so important to choose your customized business products carefully. It is clear that technology related promos are what today’s modern customer or client desire. Based on your budget, you may not have the funds for chargers, flash drives, power banks, and other most costly tech products. Don’t despair! 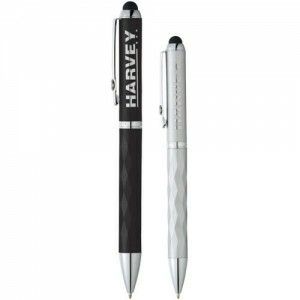 You can still impress with promotional stylus pens. They are available in so many colors that it’s easy to match your company logo. We have tons of options under $1.00 and if you are looking to go top shelf, we have those too. Metal body stylus’ packaged in a nice gift box of a brand name supplier will surely impress. We sell brands like Elleven, Luxe, Cutter & Buck, Ellis, Balmain, and Cross. Many metal body stylus pens can be laser engraved for an even more impressive look. 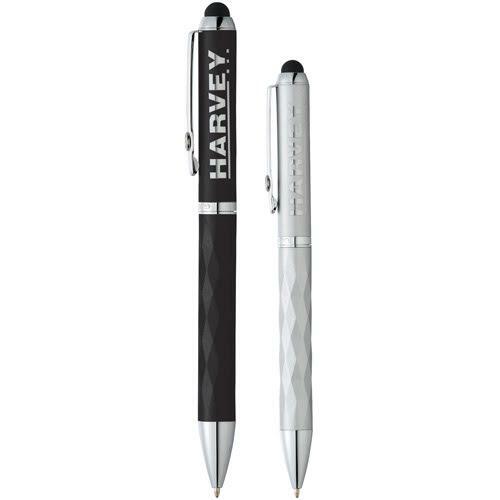 Stylize your next promotion with a stylus! This entry was posted in Promotional stylus pens and tagged Promotional stylus pens on June 12, 2015 by admin. Branded USB Drives: So Many Styles, Colors & Options. This entry was posted in USB drives and tagged Promotional USB drives on May 11, 2015 by admin. Promotional Cooler Bags: Not Your Moms Cooler Anymore. This entry was posted in promotional cooler bags, Promotional tote bags and tagged promotional cooler bags on April 21, 2015 by admin. Promotional hand sanitizers are not just for trade show, job fairs and doctor’s offices nowadays. 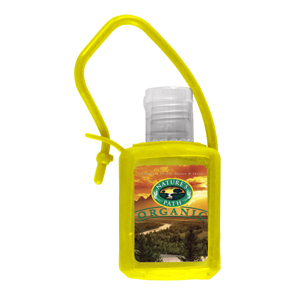 A hand sanitizer promo product is a great option for any business or organization for giveaways. At any given time of the year we hear about the spread of germs impacting entire schools or town populations, or new strains of the flu each flu season for which we have not been covered via our annual flu shot. If you live with children,than you are even more likely to fall victim to the annual bad cold or worse. Though no sure-fire 100% miracle propellant of germs exists, there are some easy ways to battle germs on a daily basis. Promotional hand sanitizers are a budget-friendly promotional product that your customers are sure to utilize. Hand sanitizer promo products are available in a wide array of choices to fit your budget, need and your recipient demographic. For activities such as marathons, walk-a-thons and sporting events, an antibacterial sanitizer housed in a sporty neoprene sleeve with a clip or carabiner is a great choice. Imprint your custom logo on the sleeve. Recipients can easily attach this product to their backpack, fanny pack, or belt loop for easy access. This tagalong style is also very popular amongst high school students and college students. With a carabiner or clip, students don’t have to worry about their hand sanitizer getting lost inside their book bag, and it will be readily available for quick use at the coffee shop or lunch spot. Promotional hand sanitizers in the shape of a spray pen are very popular. This small, skinny shape can easily be stowed in any bag and the pump-action spray is an easy and quick way to sanitize your hands before a meal. 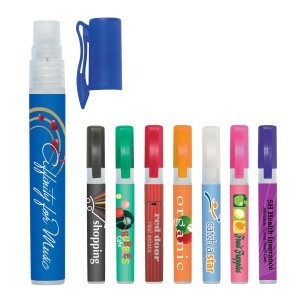 Spay pen hand sanitizer promo products are available with a variety of cap colors to match any logo. You can imprint your message on the body. For a bold statement, try one of our spray pens that can be fully customized with a 4-color process imprint for a look that will surely be eye-catching. This entry was posted in Hand sanitizers and tagged Promotional hand sanitizers on April 10, 2015 by admin. This entry was posted in USB drives and tagged Promotional USB drives on March 19, 2015 by admin. This entry was posted in Promotional tote bags and tagged Promotional tote bags on March 9, 2015 by admin. This entry was posted in Jute shopping bags, jute tote bags and tagged Jute shopping bags on February 20, 2015 by admin. Promotional Hand Sanitizer: A Smart & Useful Giveaway Any Day! There is a lot of debate about whether or not excessive use of antibacterial hand sanitizer is a good or bad thing. But one thing is for sure: mothers always reinforce the importance of washing our hands before we eat right? I doubt anybody can argue the merit of hand washing before meals. And everyone has to eat so why not consider a promotional hand sanitizer for your next business promotion? These are really handy items to have when access to soap and water is not readily available. Many of us like to take our lunch breaks outside. Perhaps your company has a pleasant outdoor area with picnic tables, or you work in the city and enjoy eating your lunch at the nearest park. When you can’t access a sink, these “waterless” antibacterial hand sanitizer products are a great solution. They are also very popular for moms & kids on the go. This entry was posted in Health & Hygiene and tagged promotional hand sanitizer on February 10, 2015 by admin.